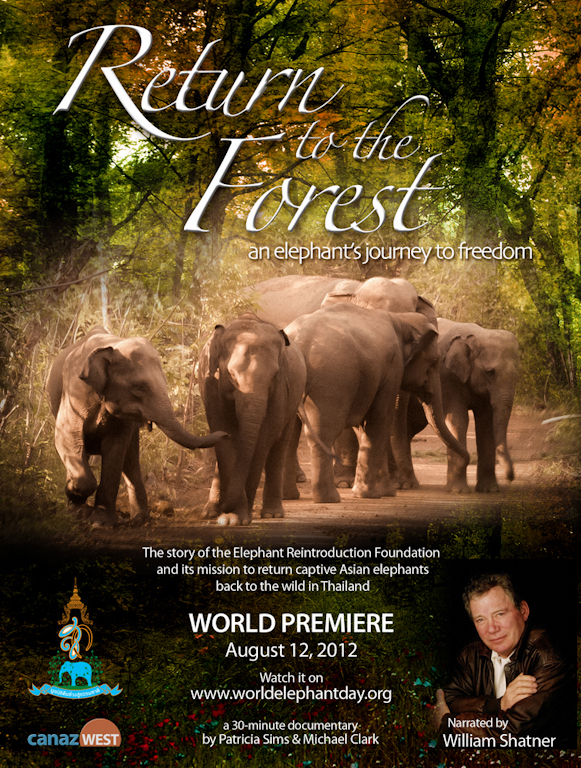 “Return to the Forest” is the heartfelt story of the Elephant Reintroduction Foundation and its mission to return captive Asian elephants back to the wild in Thailand. August 12, 2012 is the inaugural World Elephant Day supported by the Elephant Reintroduction Foundation, a Royal initiative of Her Majesty Queen Sirikit of Thailand. Many elephant organizations around the world are joining this initiative to bring awareness to the plight of Asian and African elephants. Tweet and share about World Elephant Day. Visit our press room for some ideas! Donate to organizations that help elephants. We appreciate everything you do to contribute to the mission of World Elephant Day August 12 and to help us spread the word.